If you are anything like me when I was first getting started, you might not even know what this means – let alone know why you should start building your list as soon as you open your business. In general, the bigger your list, the more valuable your business can become. Of course, there are countless other factors that will play into your bottom line, but growing your list is likely to have a direct effect on your overall profitability. If you are hoping to work with a JV partner, publisher, or investor, having a sizable list will give you much-needed credibility and respect. While many online businesses seek to add social media followers on platforms like Twitter and Facebook – and that is a very worthwhile pursuit – email list building remains powerful because it is something that you directly control. You own your list, it’s your business asset, and you can take it anywhere. It is never too early to start building your list. In fact, even if your business isn’t fully up and running at the moment, you can still work on building a list and creating long term relationships. Quite simply, there is no time like now to start accumulating email addresses and growing the value of your list, and ultimately, your business. However, if you are thinking that you can just use your personal email account through Yahoo or Gmail to send out messages to your list, think again. That was my belief when I first got started, but I quickly learned about the importance of an email delivery system (known as a Contact Relationship Manager, or CRM). Using your personal email server to send out messages to your list is a great way to get your account suspended – so don’t do it! If you are just starting your list, a service like MailChimp is a great choice. Over time, as your list grows bigger, a more advanced system like InfusionSoft will be a much better fit. One of the keys to successful list growth and management is staying within the realm of the law. Spam laws are in place to protect consumers, and you have to make sure that you are operating in a legal fashion. That means that a person has to ‘opt-in’ to your email list in order to be included. Simply having someone’s email address (such as when they give you a business card) is not enough to warrant inclusion on the list. 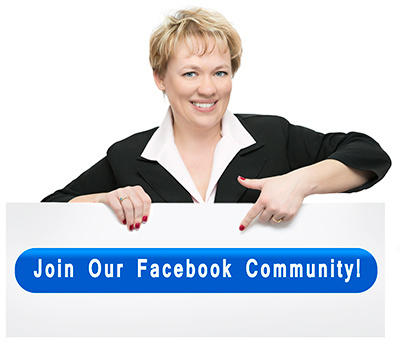 To get opt-ins, you may want to consider giving away something free on your website. These free informational products (freebies) should relate to the services your offer and provide value. By creating a freebie, you give the visitor an incentive to submit their email address, and you also get a chance to demonstrate your expertise within the free product. It is a win-win pre-position. One common mistake that many business owners make is only using their list to sell. Sure, you want to make money through the use of your list, but you also want to grow your relationship with your subscribers and build trust. If you only contact them when you have something to sell, they will quickly tune you out or simply unsubscribe. First and foremost, think of your list as an opportunity to provide valuable information and tips, news related to your industry, or even just fun facts to the people that have expressed interest in you and your services. Using your list to market programs and products should be secondary. Treat your list well, and you can expect to have them treat you well in return. 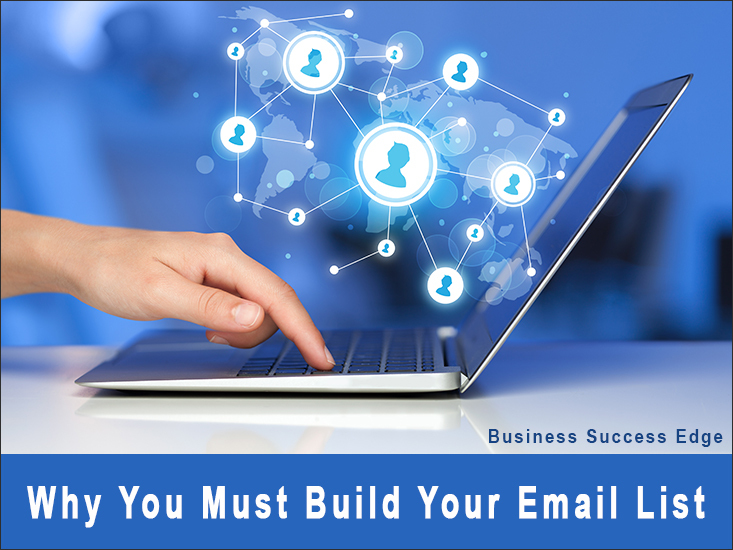 Building an email list is one of the most important steps that you can take to grow your business. In the end, it comes down to two factors – how many people you can add to your list, and the quality of your relationship with those people. When you are able to grow it in both quantity and quality, you will truly start to see the power of the list pay off for your business. 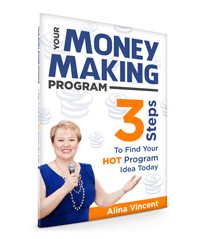 Are you interested in growing your list, but don’t know where to start? Sign up for your List Building Strategy Session and we can create a clear plan for you right on the call. I hope you have enjoyed this post! If you would like to receive more valuable content, sign up for my newsletter and have it delivered to your inbox every other week. Thank you, Alina, for the helpful info you sent me. I do appreciate it! Thank you Barbara! I am glad you find it helpful. Great newsletter with so much great and helpful information. You certainly are a pro your area of expertise! !